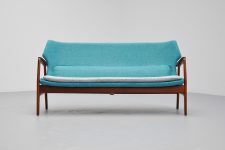 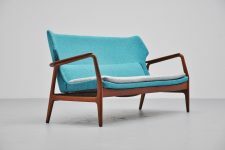 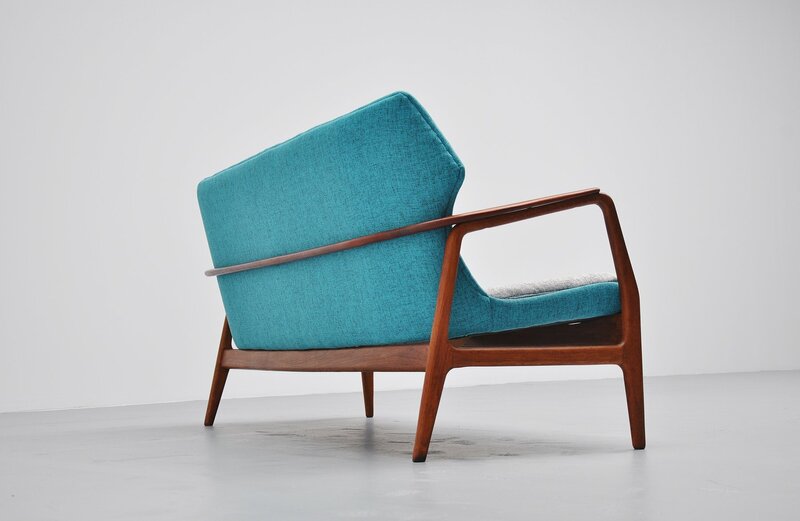 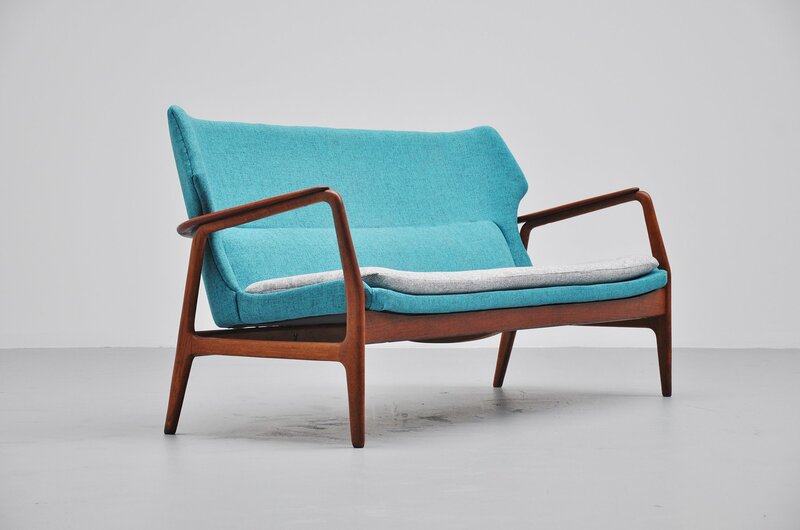 Fantastic lounge sofa designed by Aksel Bender Madsen for Bovenkamp, Holland 1960. Bovenkamp was known for its quality furniture and Danish import furniture. 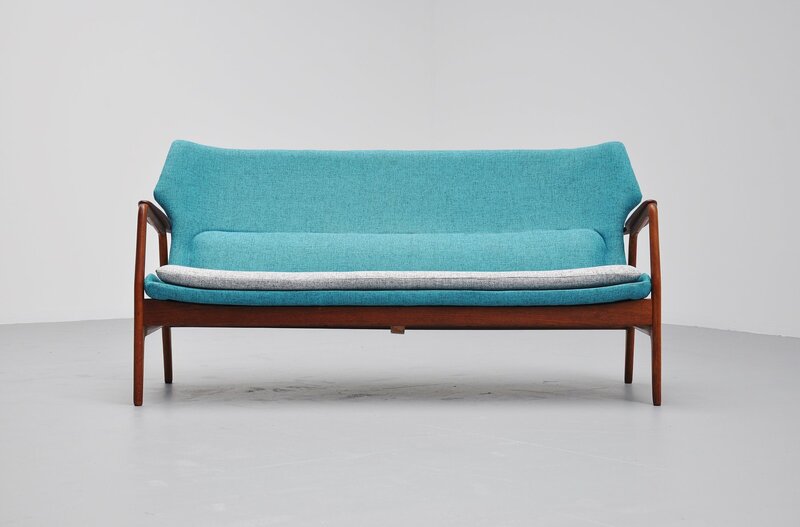 This sofa is completely newly upholstered including new foam. 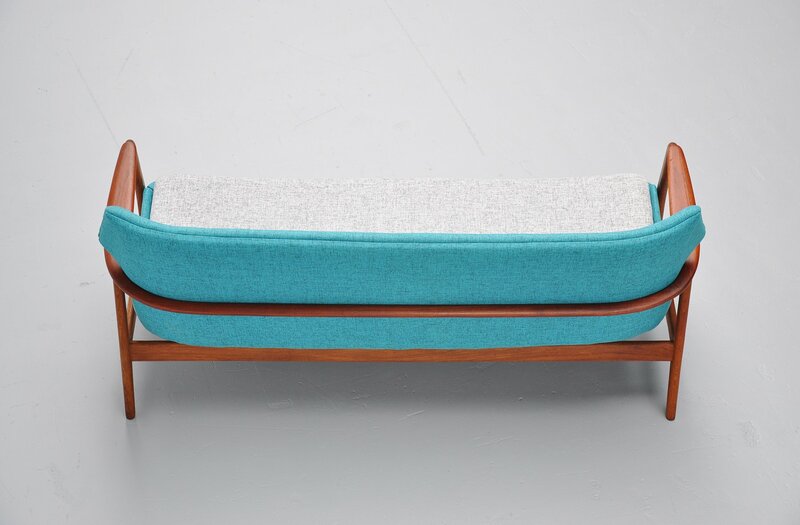 We choose a nice bright blue color and light grey seating cushion. 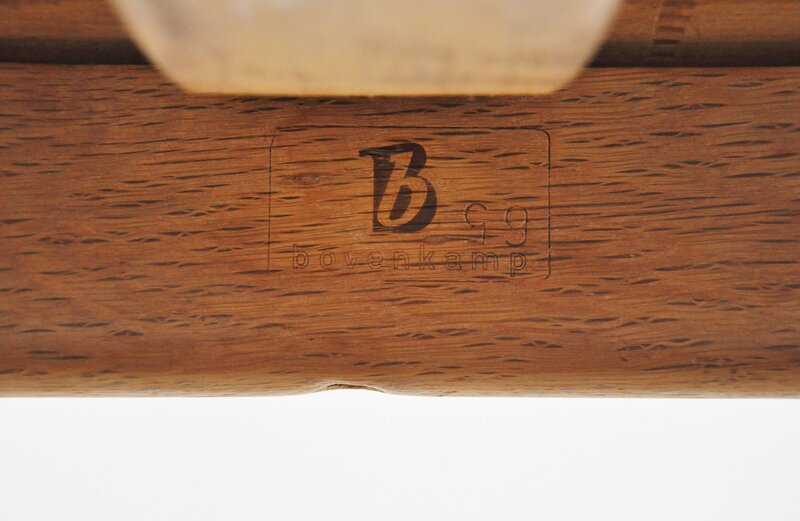 Marked with the Bovenkamp stamp underneath. 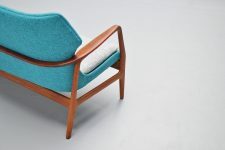 We also have matching chairs, which are for sure one of the most comfortable chairs we have and they are very elegant shaped, superbly finished. 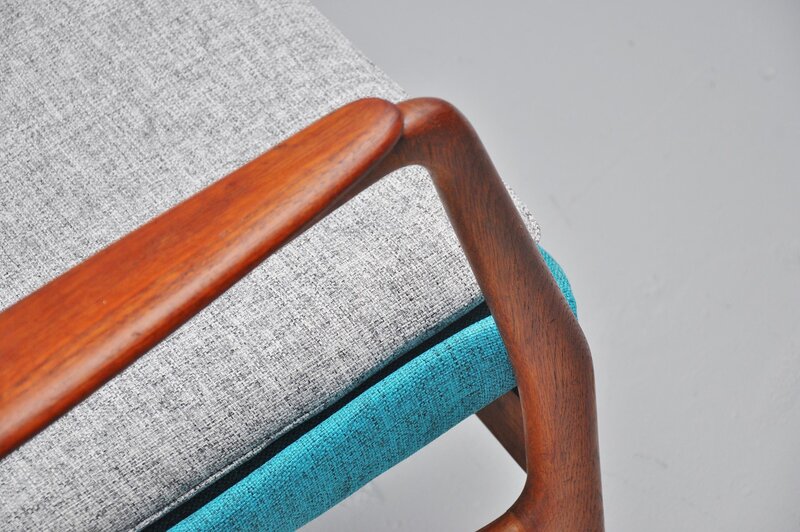 With quality all over these chairs will be a great addition to any interior, from your home to your office. 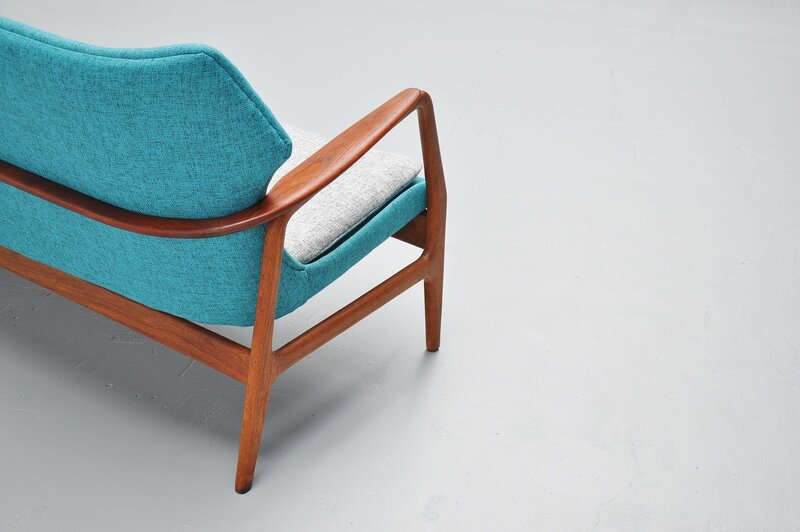 We have low chairs (Model Edith) without neck pillow and high chairs (Model Karen) with neck pillow available. 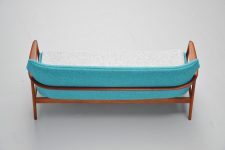 Like all of our upholstered pieces these can also be newly upholstered to your wishes. 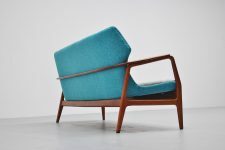 Ask our upholstery department for a very affordable quote. We only use the best quality foam and materials for all of our items in combination with fabric to your choice.